From 2016: I watched the documentary feature film ALL THINGS MUST PASS last night, charting the creation, rise and fall of the TOWER RECORDS chain. It's a fascinating story in its own right but also, through the growth and then collapse of one retailer, charts (hohum) the roller coaster growth and then painful contraction of both the music industry and the entertainment emporiums that sold their wares like Tower, Virgin, HMV (hanging in there), Woolworths, Andy's Records, MVC, Music Box, Silver Screen and the once sprawling entertainment departments in retail chains as diverse as WH Smith, Boots the Chemist and Debenhams. I remember the UK Tower flagship in London's Piccadilly Circus (at one time you could look out the store's front door and see large branches of HMV and Virgin in two directions... all gone now) mostly because it sold CDs you couldn't hope to find in any of the Oxford Street flagships but mostly because it had the most excellent magazine department in the basement. It carried obscure titles, mostly American, that you would never hope to find anywhere else. I saw my first copies of NATIONAL ENQUIRER (in the days before it secured UK national distribution), WEEKLY WORLD NEWS (Bat Boy! ), ENTERTAINMENT WEEKLY, BEN IS DEAD (I wish I'd hung onto those... doh!) and countless others there. The UK flagship opened in 1985 and was sold to Virgin when Tower retreated from the UK in 2003 (part of their ultimately unsuccessful attempts to save the core business by retreating from their overseas locations). They promptly closed their megastore across the street (which always felt like little more than a spoiler anyway) and moved into the Tower store. After a refit, it traded under the Virgin brand until, clearly sensing the writing was on the wall, Branson sold out to his own management team in 2007. Now trading under the Zavvi banner, it remained open until the chain collapsed in early 2009. Their downfall was the collapse of Woolworths and, specifically, Woolies' wholesale entertainment business (dragged down with the stores). Zavvi found itself unable to secure new stock at favourable terms and, with little to sell, slipped into administration. HMV purchased some of their former sites but the Piccadily Circus branch closed for good. At their UK peak, Tower operated a number of UK stores and I also frequented the West London stores on High Street Kensington (their first UK branch... which also continued trading as Virgin and then Zavvi) and Whiteleys shopping centre. 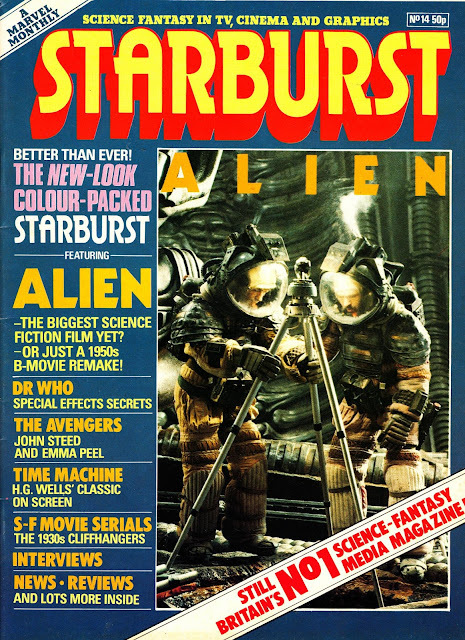 From October 1979: another outing from the STARLOGGED Random Scans file: the 14th issue of MARVEL UK's STARBURST MAGAZINE puts ALIEN on the cover. 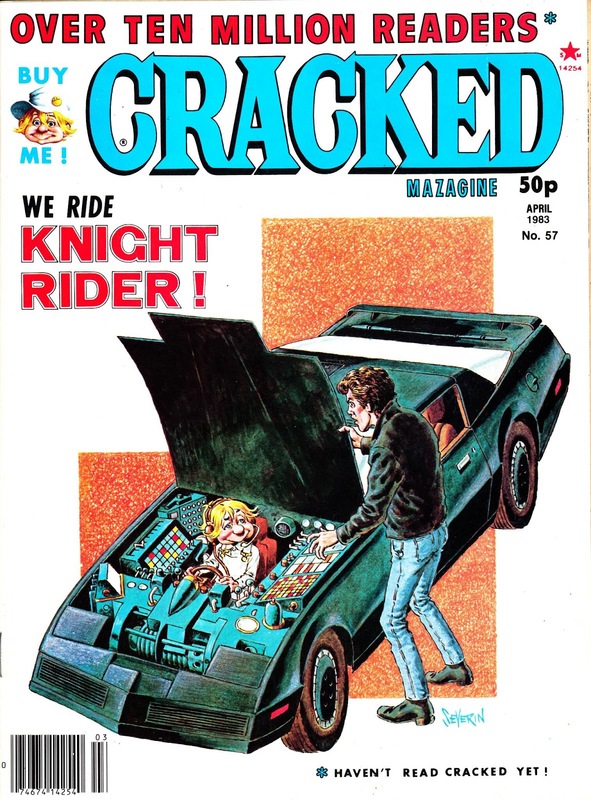 From April 1983: CRACKED UK were obviously big KNIGHT RIDER fans... here's another cover: issue 57. From January 1995 (and therefore published sometime late the previous year) the fifth and final issue of STARLOG PLATINUM EDITION. 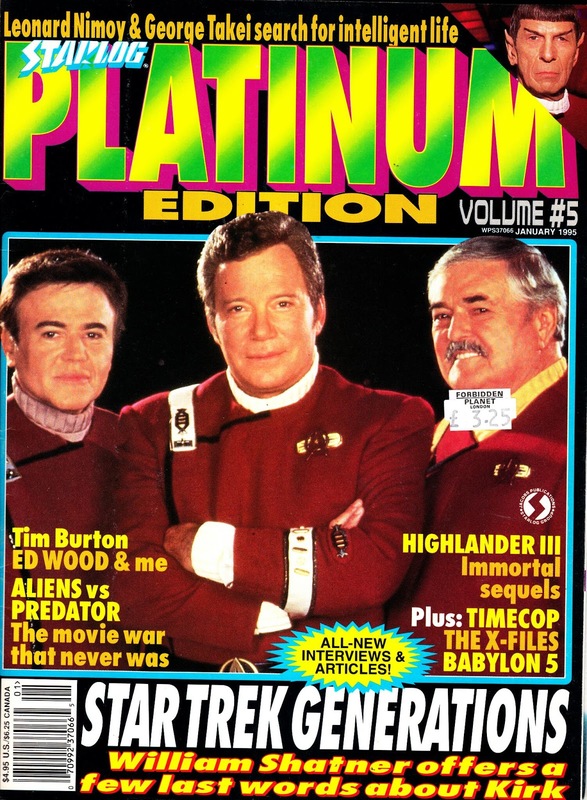 This launched in 1993 as a premium spin-off from the monthly mag. The title was initially justified by a comic book stylee (it was all the rage) cover enhancement which presented the logo is fancy foil-type shiny stuff. The feature was dropped after the third outing and the final two just looked like bog-standard issues of the regular incarnation. Presumably a sign that sales were sagging. The launch issue had a fascinating round table discussion by TV SF writers about the pros and cons (there were plenty of those) of writing for the small screen. It also teased, on the cover, a of-course-it-would-never-happen confrontation between Kahn and the Next Gen crew. By this unannounced finale, it just felt like an overspill title for interviews that couldn't be accommodated in the regular magazine. It was no surprise when it didn't resurface again. The standout page of this issue? The unintentionally camp George Takai pic, recreating his most famous moment from the original Trek, under the gossip-baiting headline "Sulu's Secrets". 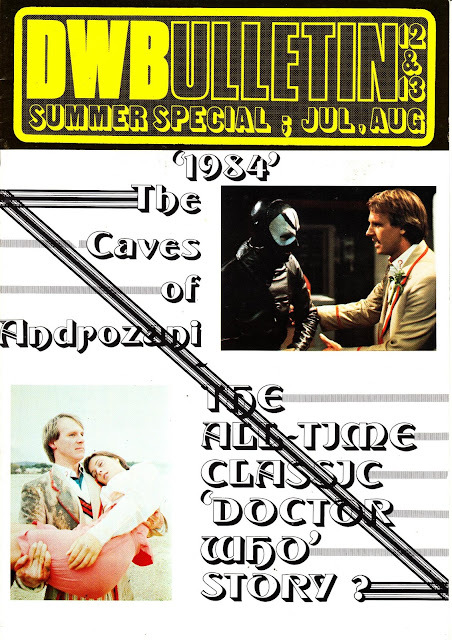 From the summer of 1984: the special DOCTOR WHO BULLETIN (aka DWB) double issue 12 & 13. 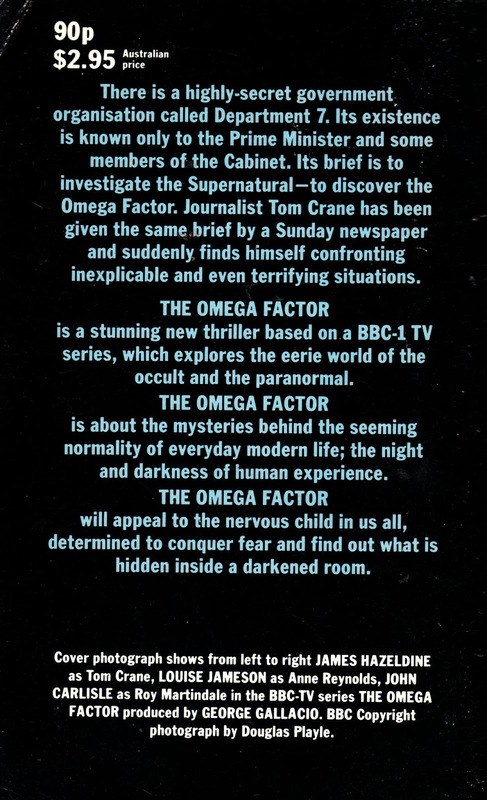 The cover design is, unfortunately, pretty weak with the font and tramline effects both misfiring. But, they're right. The original series was seldom as good as Androzani again. But, much as the JNT baiting editor might have been loathed to admit it, there were a few more corkers in the future. 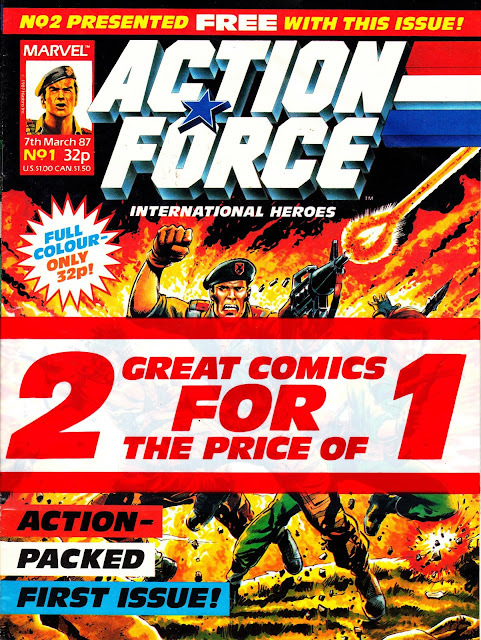 From March 1987: two-for-one thrills: the first two issues of Marvel UK'S ACTION FORCE 'revival'. This came only a few months after BATTLE had lost the toy franchise (and, indeed, the Annex had already teased their new signing by running a G.I. JOE reprint in the back of THE TRANSFORMERS) but this was a significant change of direction. For a start: it was in colour. Marvel also tried something that, as far as I know, they never tried before or since. They bundled issue two with the first as a freebie. Two comics for the price of one, held together by a plastic strip. 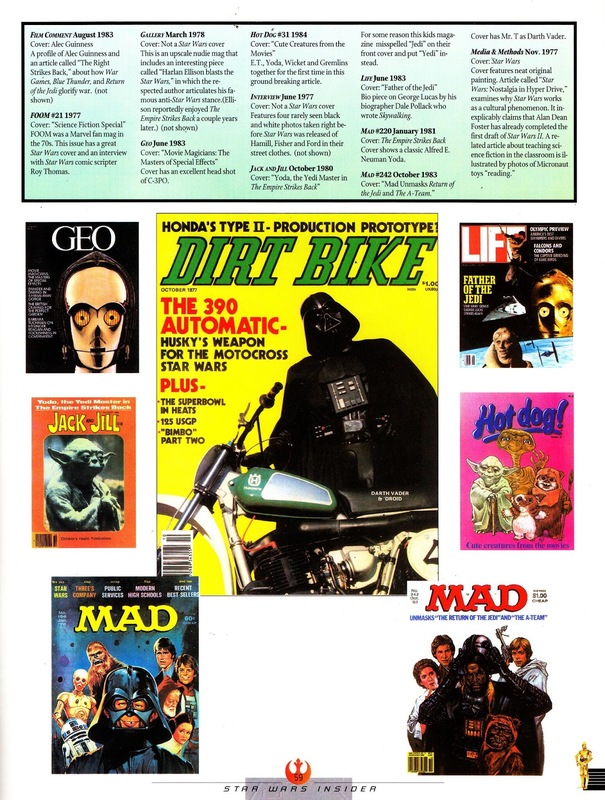 The first issues (which, I believe, were supported by TV advertising as part of Hasbro's push to relaunch the toys) stayed on sale for a fortnight. Whether this strategy was a winner is debatable. It meant that if you somehow missed out, you couldn't jump on until issue three. Which is a big gap if you are a kid collector. But it did mean you got double the thrills... even if you had to wait a fortnight for the third outing. 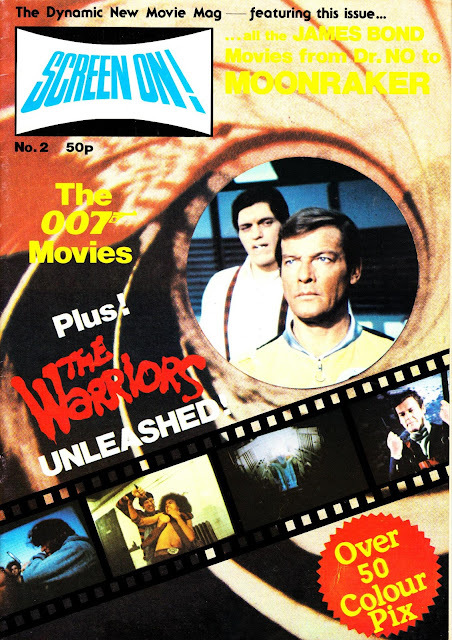 The weekly itself shuttered after a mere fifty issues although the may have been as much down to the decline in British weeklies as it was a flaw with this particular title. 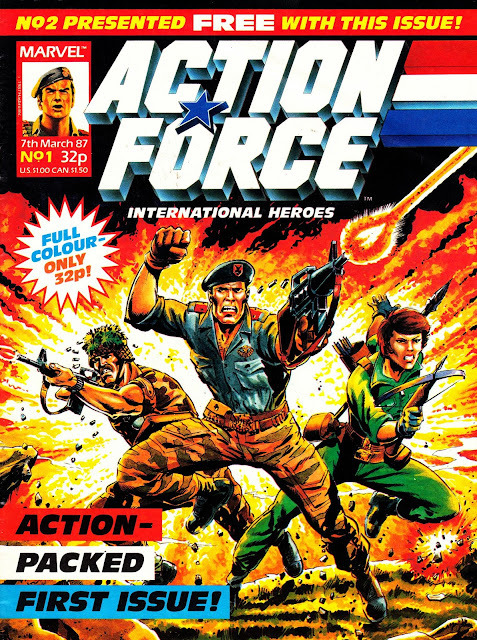 The British strips from the weekly were reprinted as back-up strips in its successor ACTION FORCE MONTHLY (aka G.I. JOE EUROPEAN MISSIONS if you were reading imported copies in the States). From 1985: The STAR TREK FEDERATION SHIP RECOGNITION MANUAL, a role playing game supplement published by FASA. I was never one for RPG but I did rather like the spin-offs that doubled as in-universe guides. I just ignored the statistics and sections that were only pertinent to the games. 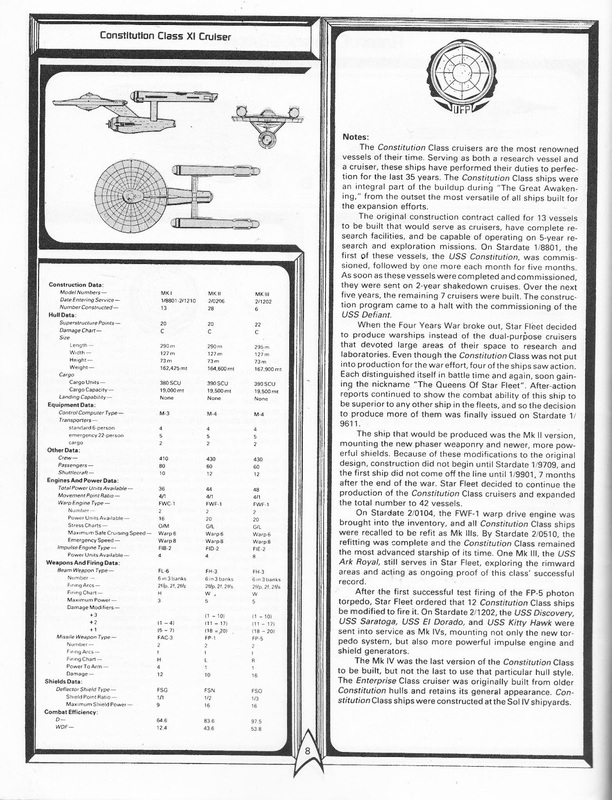 The FASA STAR TREK RPG had a huge range of adventures and other supplements. 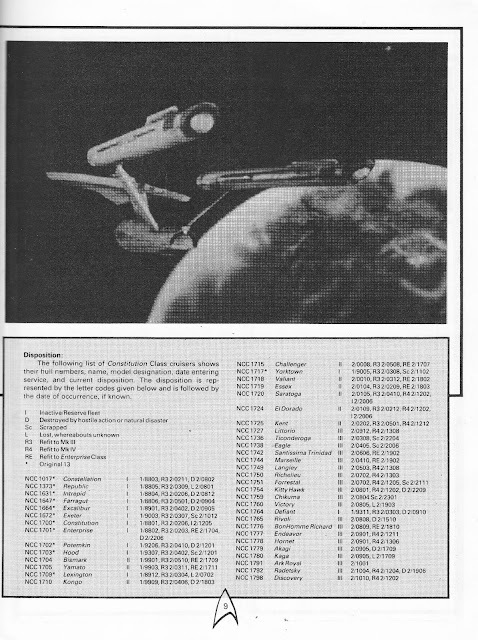 This was one of three that were guides to the space faring vessels of the Trek universe. The writers overcame the fact that there weren't that many seen on screen (this was published a few years pre-TNG so they only had the TV series and movies to work with) by simply making up their own. The same is even more true for the other two editions in this series: one each devoted to the space going craft of the Klingon and Romulan fleets. These staple-bound softcovers were mostly sold through games and role playing outlets and probably escaped the attention of a large number of Trek fans. I had them in the Eighties and I'm in the process of getting hold of copies (they seldom seem to surface at a reasonable price) now. 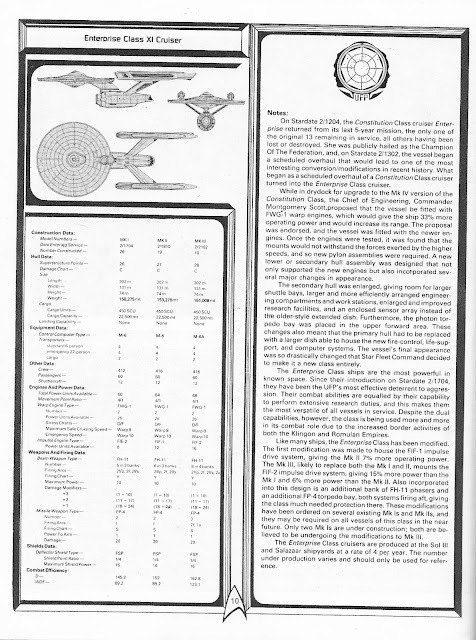 I've posted the covers and the interior pages relating to the Enterprise. Other space-going craft are available. 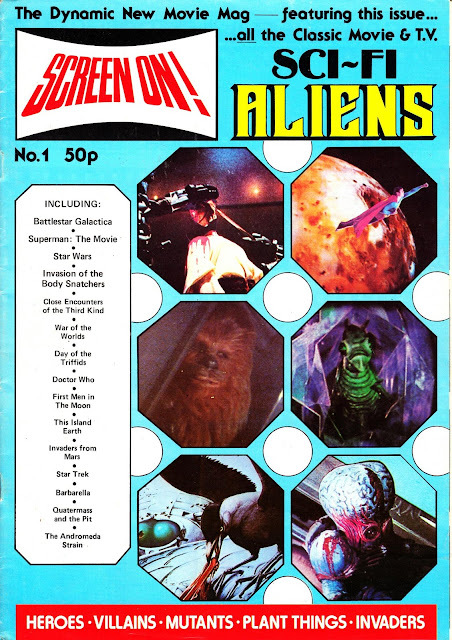 From 1978: the obscure British genre mag SCREEN ON! This is a follow-up post to the beheading of BATTLESTAR's Baltar from earlier in the week. 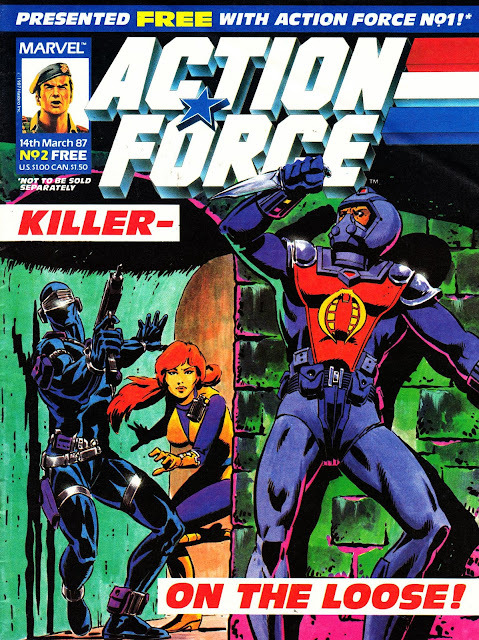 That rather grusome still came from the cover of the first issue. Back issues of this title don't seem to surface very often. I first found a copy of the first issue in a London charity shop and, more recently, I found a dealer selling the first two issues: posted below. Total cost to me: £2. 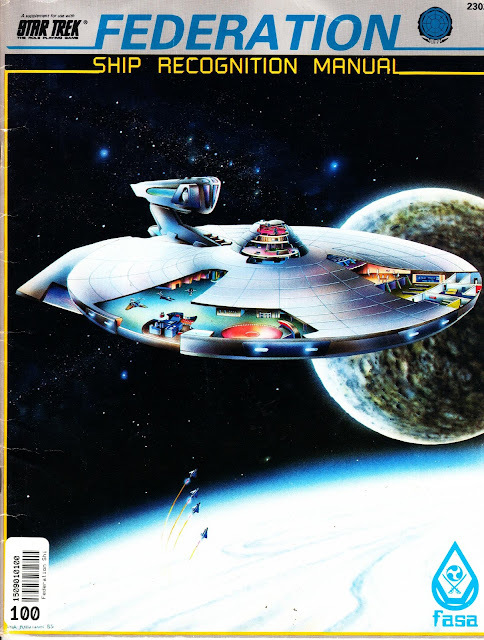 Published by a London based outfit called Danacell, I don't think this was originally intended to be a purely SF title. A small ad in the first issue detailed that the second outing would be devoted to disco movies. However, maybe the publisher thought that far was passing fast as the published second issue has a Bond/ THE WARRIORS theme. All change. The High Pix Quotient was down to the fact that they were published extremely small in a film strip design. I have no idea whether they ever reached issue three. There's no preview in number two. And it probably wouldn't be reliable anyway. 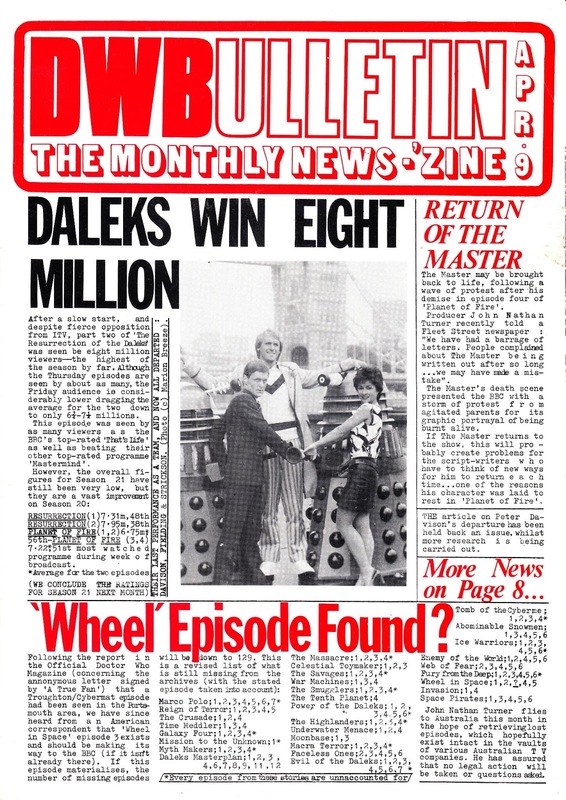 From June 1984: DOCTOR WHO BULLETIN (aka DWB and, eventually, DREAMWATCH) breaks some news (remember when magazines and fanzines could still break news?) on the upcoming THE TWO DOCTORS. Nice use of the colour green as well. Ahem. From April 1995: the late Leonard Nimoy graces the cover of STARBURST issue 200, published by Visual Imagination. 1978: EVIDENCE THAT BATTLESTAR GALACTICA'S BEHEADING OF BALTAR WAS FILMED? 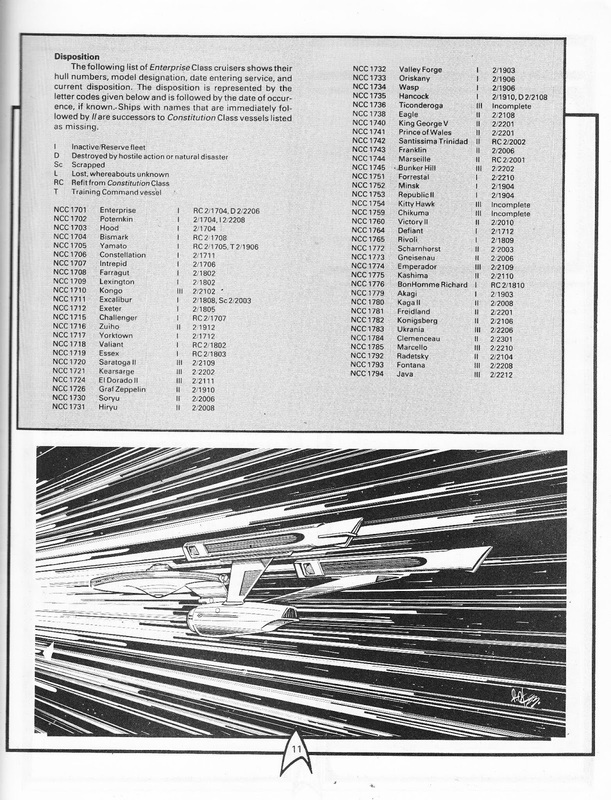 From 1978: Is this positive proof that Baltar's execution was shot for BATTLESTAR GALACTICA? I've long pondered whether the beheading of the human traitor at the feet (?) of his erstwhile ally the Imperious Leader was ever shot. This admittedly blurry still suggests it might well have been. Depending on which cut of the epic opener you watch, Baltar is either executed off camera (the scene cuts must as the Cylon blade is about to strike) in the released first movie version or delayed (and ultimately, ahem, terminated) in favour of a public (huh?) 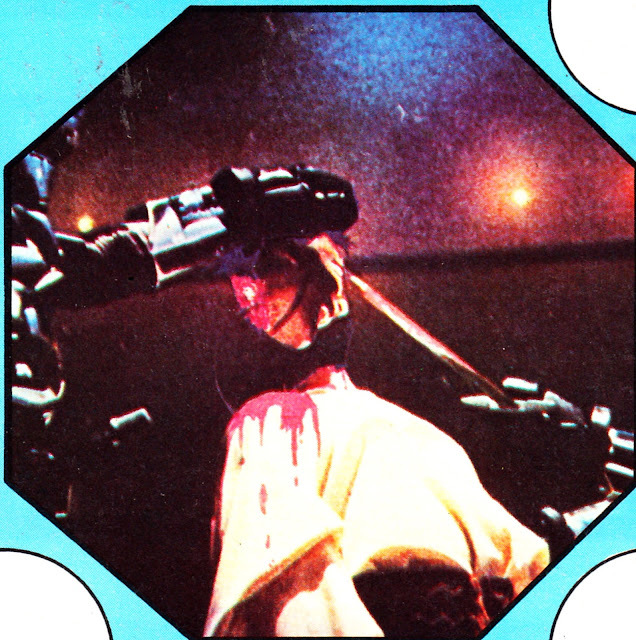 decapitation in the TV print (assembled later, once the decision had been made to retain the character for the weekly series). Marvel's first crack at adapting Saga of a Star World/ the movie channeled Hammer horror and left little to the imagination. But was that based on an early print or artistic license? The extensive deleted scenes on the DVD box set shed little new light (I assume the same scenes were ported across to the BR release although I've not double-checked). There some alternate takes of the scene but nothing radically different or more gruesome. Which left me wondering: was there more shot and either overlooked or deliberately dropped from the outtakes? The still is from an obscure British magazine called ON SCREEN published in 1978. It appears pretty small on the cover so I've enlarged it here. I doubt very much that they went to the trouble of faking it (although you never know) but it might have crept out of the studio before the decision was made to drop the cut (ahem) from all versions. Apologies if you are reading STARLOGGED over breakfast or lunch. 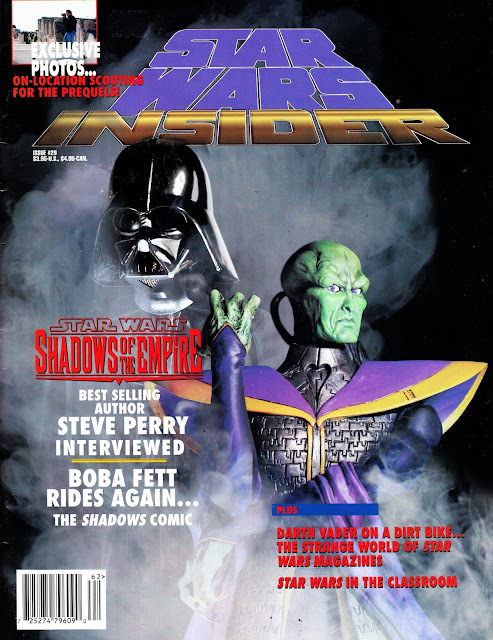 From 1996: STAR WARS INSIDER dutifully covers the everything-but-the-movie merchandising event SHADOWS OF THE EMPIRE. The feature on Star Age STAR WARS magazine covers (two posts ago) was from the same issue. From May 1984: DOCTOR WHO BULLETIN (aka DWB) issue 10. From 1996: STAR WARS INSIDER covers... STAR WARS magazine covers. 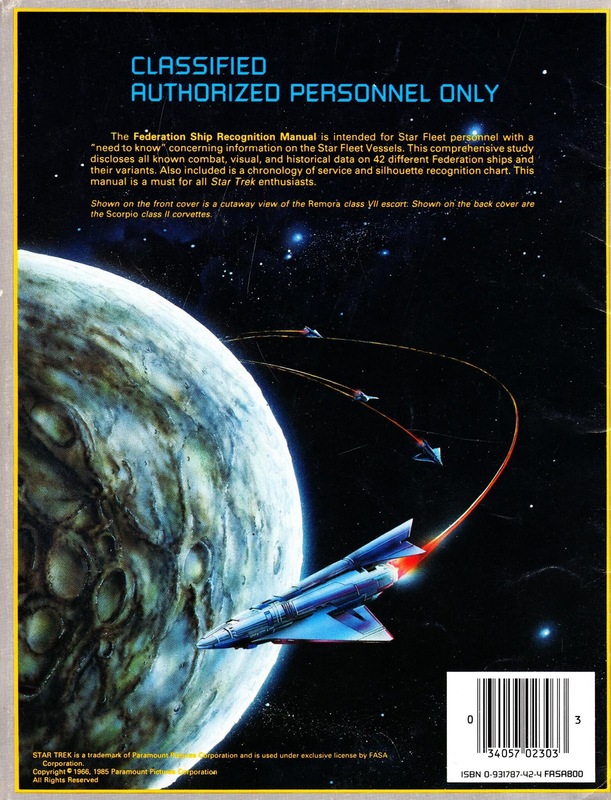 I found this feature recently and thought it was ideal for STARLOGGED: Obscure (and not so obscure) magazines (mostly from the States but with a token UK entry as well) with Star Wars covers. And not the usual suspects as well. Tantalizingly, there's more referenced in the text than actually shown but there's still plenty of nostalgic, and bizarre, goodies to transport you back to the Star Age. From April 1984: the ninth issue of fanzine DOCTOR WHO BULLETIN, published in the UK. 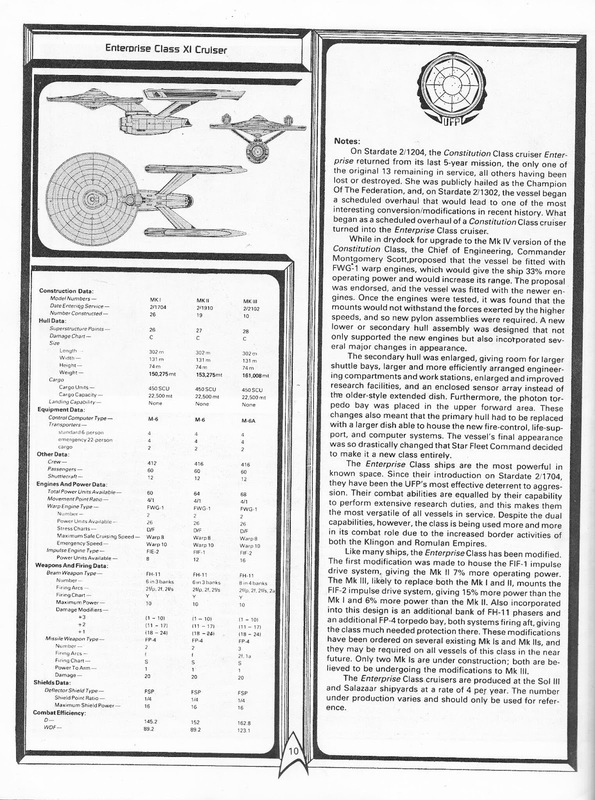 I recently acquired a fairly comprehensive run of this 1980s zine for STARLOGGED. This is the earliest issue in the collection. DWB is, looking back, pretty remarkable and something of a wild ride. 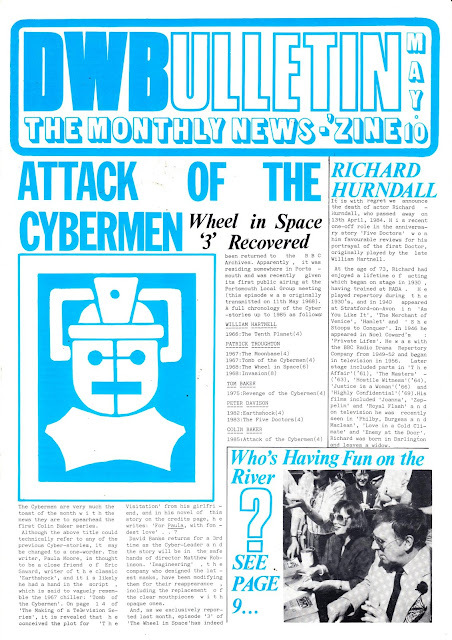 Launched the previous year, the monthly news zine was already looking pretty polished at this point and embracing its role as the tabloid (albeit published as an A4 magazine) of DOCTOR WHO fandom. Just the sheer achievement of getting past those difficult first few issues (most fanzines traditionally imploded after the first few outings once the realities of economics and effort overtook enthusiasm) and sticking to a (pretty much) monthly schedule should be celebrated. Even more of an achievement is that, as the decade went in, it really gave Marvel's officially licensed magazine a run of its money and forced it to up its game in order to appeal to the show's core fan base. That fine line between the licensed and the unlicensed brought it into conflict with BBC ENTERPRISES (forerunner of today's BBC Worldwide) who, for a while, lent on London retailer Forbidden Planet to stop carrying copies. DWB did little to help its standing with the BBC (and, indeed, the show's standing within the BBC) by launching an impassioned, and obsessive, campaign to oust John Nathan-Turner from the show. What DWB didn't realise was that the Producer was the only thing standing in the way of the Corporation's desire to shutter the series at the first opportunity. Just how much did DWB contribute to creating "the lost years"? 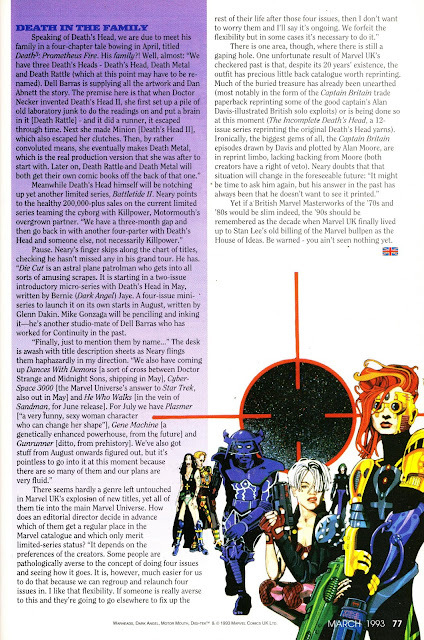 DWB broadened its scope at the end of the decade (when I started reading) to cover other telefantasy shows. It morphed into DREAMWATCH (with a new issue 1) in October 1994, secured national newstrade distribution and was eventually acquired by Titan Magazines. 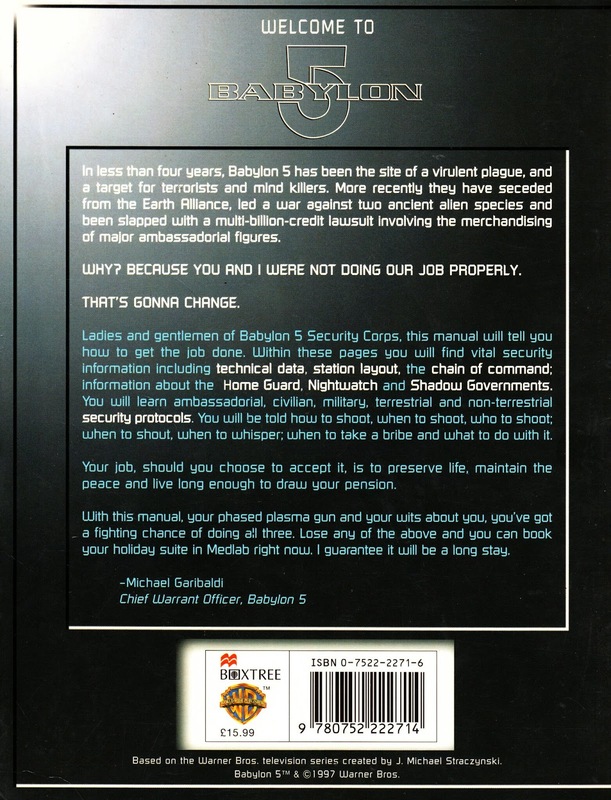 It closed after 150 issues in March 2007. From March 1993: WIZARD MAGAZINE covers MARVEL UK's transatlantic incursion. 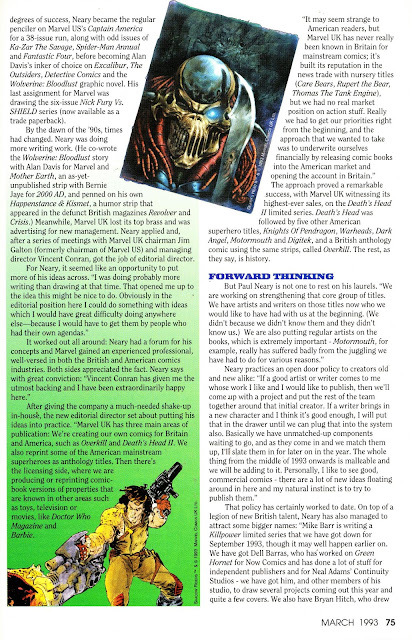 At this point, after a triumphant 1992, it was all boom and no bust (except Tuck) at the Annex of Ideas (and, more generally, within the industry) so this decently put together piece looks ahead to another year of UKverse expansion. 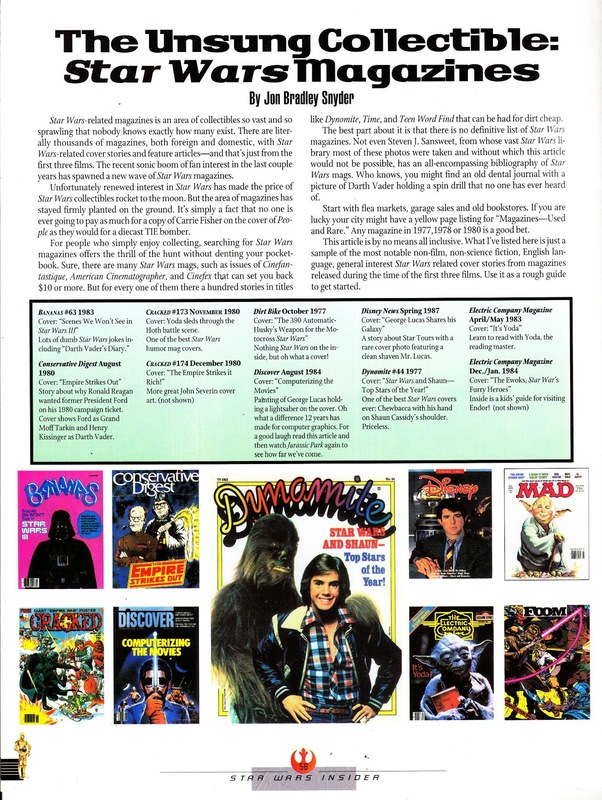 Indeed, Marvel UK, published a lot more books that year than the article mentions. Possibly a sign of how swiftly new projects were added to the schedule. Wizard, notorious for hyping the next big thing (especially if their pals were involved somehow), never quite fully embraced the British books. Maybe being in London meant the British creators and PR people couldn't quite tap into that informal network. Or maybe Wizard thought its hype machine was better deployed to other projects. The new piece of Liam Sharp artwork on the first page looks like it was bidding to become an prospective Wizard cover. 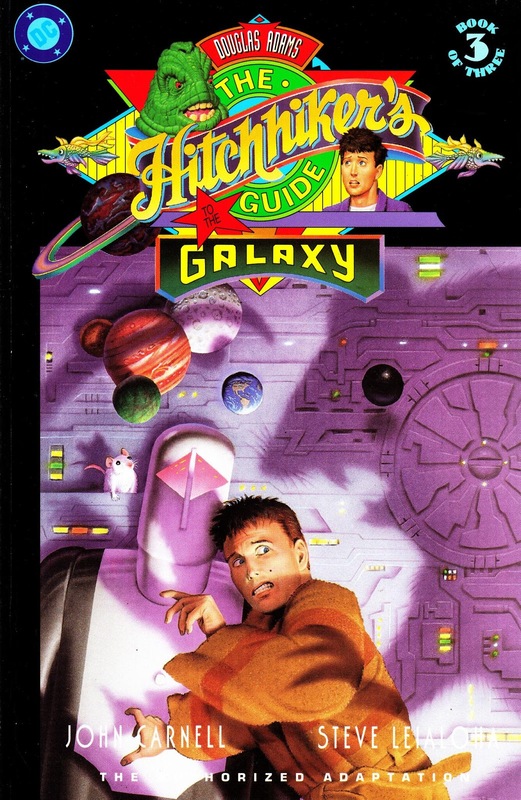 The purple wizard's cloak was a semi-consistent feature in the newly commissioned art on the early covers and it looks like Sharp was playing by the style guide. 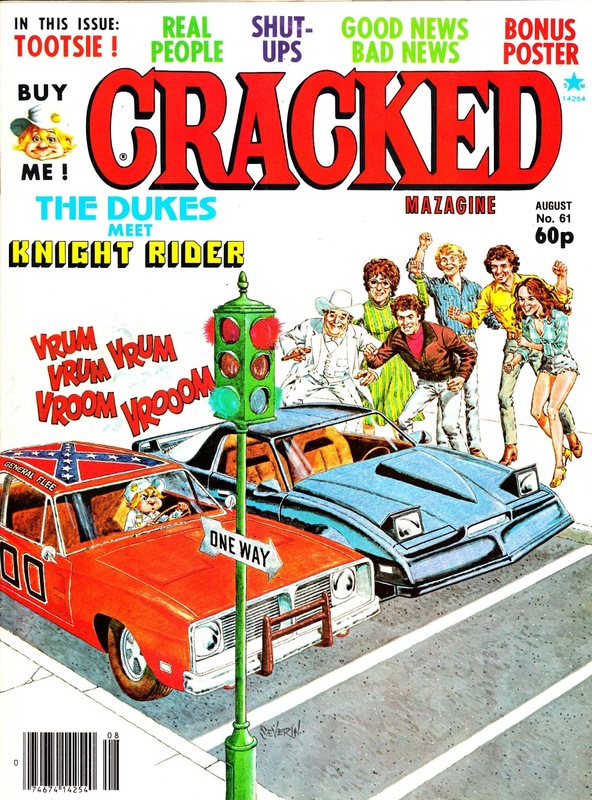 CRACKED MAGAZINE SPOOFS THE DUKES OF HAZZARD AND KNIGHT RIDER. 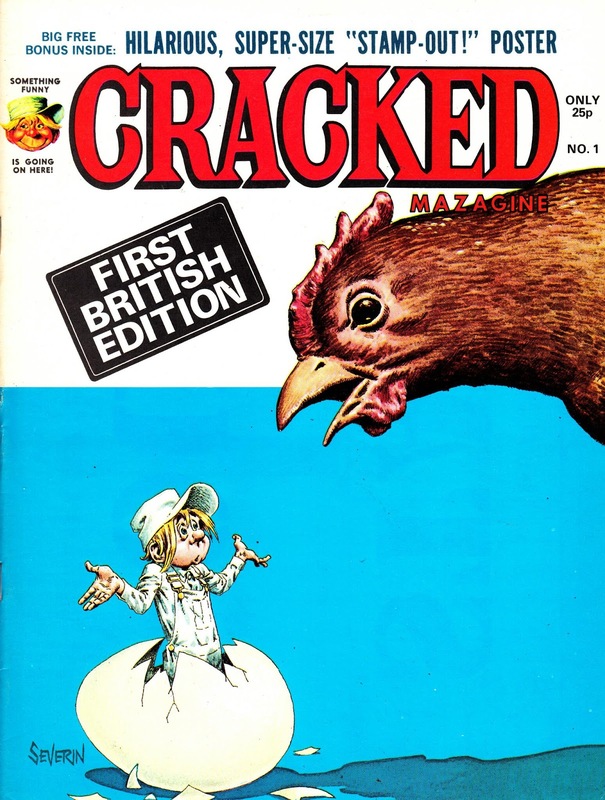 Another British edition of CRACKED. Another date unknown. Although it must be sometime in the mid Eighties. CRACKED takes on KNIGHT RIDER and THE DUKES OF HAZZARD. It's the telly team-up we never saw. Although we did come close in the first season KR episode 'Give Me Liberty... Or Give Me Death' which saw K.I.T.T enter an alternative fuel race which also included a Dodge Charger and some obvious swipes at the Dukes (and cable TV... obviously another industry issue keeping Glen Larson awake at night). NBC also launched KR with a series of TV spots that made digs at the past-their-prime Dukes compared with the new car (not Karr) in town. STARLOGGED doesn't normally do New Stuff News but there are a couple of new releases this week that will be of interest to MARVEL UK readers of old. 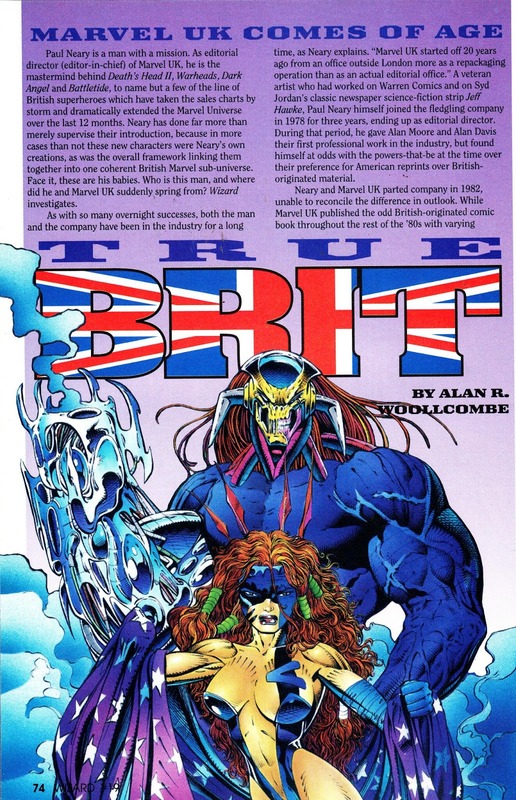 This week's issue of the long-running (now extended, according to the insert, to 200 issues) MARVEL FACT FILES (the put-it-in-a-binder weekly artwork) is another MARVEL UK SPECIAL, dedicated to the company, the creators and the characters. 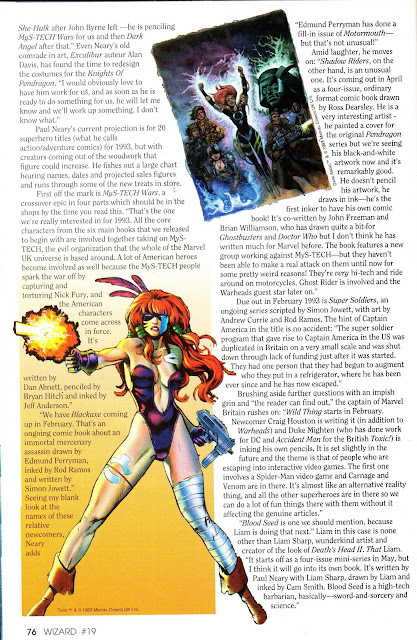 One really nice feature this time is a look back at the comics that were spiked, sometimes at the very last minute, in the Genesis Implosion of late 1993. Highly recommended. Also out this week is the trade paperback collection of the entire FRONTIER COMICS offering, also from 1993. That's a line of long-forgotten (but actually really good) books that I never thought would come into print again. Especially not ahead of the core UK-verse books. Its priced at £30 (Marvel trades are certainly not cheap) which means it would be cheaper to raid the 50p boxes for the complete run (which is what I did) but its well put together with new introductions to each series, some behind-the-scenes art and the MARVEL AGE MAGAZINE article I posted here way-back-when. Marvel obviously couldn't include some of the contemporary fanzine coverage so, for more perspectives (COMICS SPECULATOR NEWS anyone? ), look back through previous STARLOGGED posts. 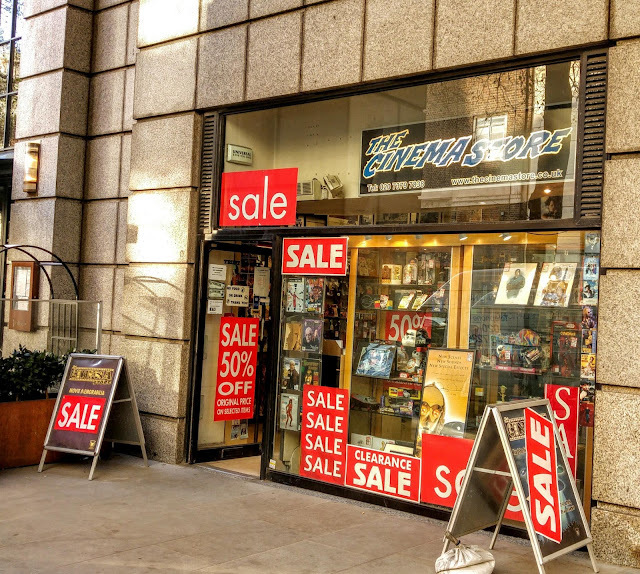 Finally, London's CINEMA STORE is closing this Saturday. I've been a regular customer there since the early 1990s so although I was never a big spender, they've been a constant Geek Stuff supplier to me. I would think that the writing has been on the wall for years (almost everything they sold became cheaper online over time or were superseded by digital equivalents) but they were still good for magazines and books that weren't carried elsewhere. Their pricing was seldom keen (they would sell copies of ENTERTAINMENT WEEKLY for a tenner... when you could get it for £2.75 in Soho newsagents) which helped, I think, cement their reputation for fleecing shoppers. 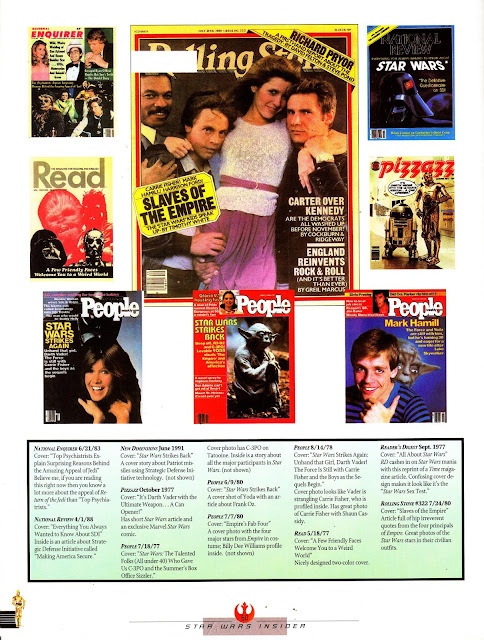 For many years, prior to the opening of BORDERS (and CS jacking up their prices), they were by regular source of EW... and many other magazines as well. I will miss them. In what must constitute one of the oddest brand extensions from the IPC stable, Kings Reach Tower issued this not-quite-like-the-weekly BUSTER BOOK OF SPOOKY STORIES (described as an "annual" but actually more akin to a softback album) in late 1974 for the Halloween/ gifting season. 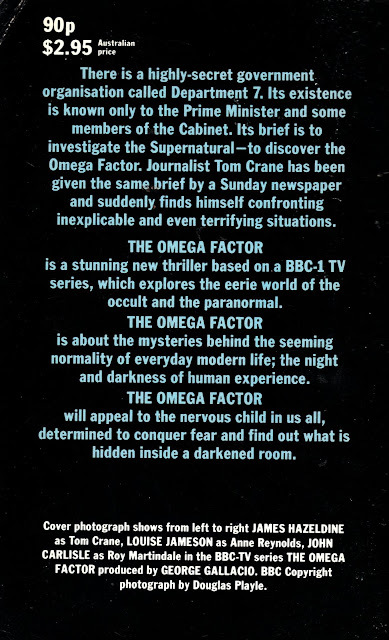 Does Skinn (him again) put this (and the following year's second and final outing) together after his pitch for a new IPC horror weekly (to be called CHILLER... a name he finally revived as one of the MARVEL UK POCKET BOOKS in 1980) was staked by the publisher's higher echelons. Apparently they didn't see the potential/ didn't fancy the backlash (delete as applicable) of a horror comic but thought they would get away with it... and shift more copies... by making it into a spin-off from one of their venerable humour weeklies (Buster turned out to be a good choice... it eventually became the once mighty humour group's last-man-standing title... before eventually succumbing as well). 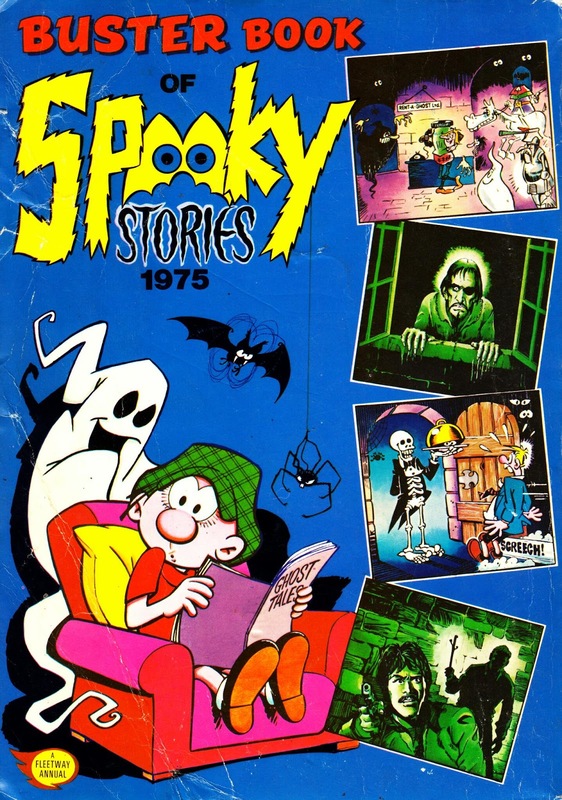 Despite the association, the links with the weekly were actually few and far between with the normal Fleetway mix of new commissions and vintage already-paid-for reprints residing in the Fleetway vaults. Copies of these two books don't seem to surface very often. I found this in a secondhand bookstore last year for a couple of pounds. 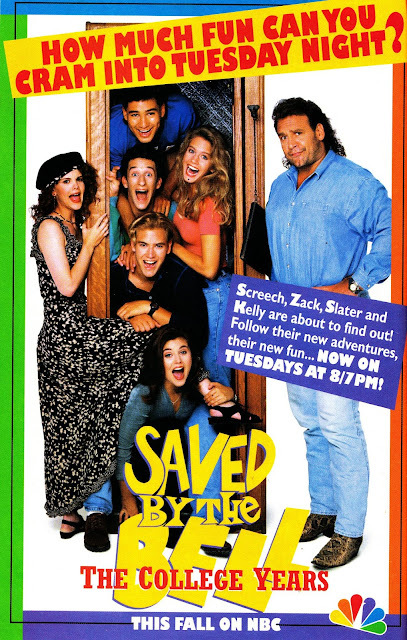 From October 1993: a US ad for the inevitably ill-fated attempt to expand the SAVED BY THE BELL kid-vid franchise from Saturday mornings to (early) primetime. The strategy was simple: SBTB, after an inauspicious start on the Disney Channel, had settled down to be a reliable ratings grabber for the pre-teen crowd on Saturday mornings. So much so that it spawned a succession of equally on-the-nose wannabes and helped sign the death warrant for traditional animation on the networks (cable, first-run syndication and FOX had been collectively chipping away at that USP for a decade). The best way to judge the true success of a show is my the quantity, not quality, of its imitators. So NBC saw a chance to move the show into primetime, hold the aging cast together a bit longer (and try to explain away why they also looked like they were pushing thirty) and make the most of a slick (and cheap) creative machine. Most importantly: NBC also owned the show and had a new (younger. Cheaper) cast standing by to take over the Saturday morning gig. Unfortunately, the finite appeal of the Bayside gang didn't extend to peaktime and the new version was canned after one season. One member of the class went on to anchor a truly legendary movie. Another just went to jail. There is an ace behind-the-scenes drama doc about the rise and fall of the original Baysiders. From 1996: Remember SHADOWS OF THE EMPIRE? It was the STAR WARS movie that didn't bother with the movie and just pushed (true to Lucasfilm form) a ton of merchandise. The folks in the marketing and licensing departments were still a little rusty when it came to promoting and selling the saga after a decade or so in the doldrums and concocted this multi-media event, set in the gap between ESB and ROTJ, to limber up for the possibility of re-releasing the original trilogy or even making some new films. Plus, of course, they needed a way of measuring demand without risking a multi-million dollar bomb going off under Skywalker Ranch. The licensing department roped in all their willing pals at Kenner, Dark Horse, Lucas Arts, Bantam Books and all their other partners to create a storyline and new characters (Solo alike Dash Rendar and criminal mastermind Prince Xizor) that would be moulded (literally in Kenner's case) for the requisite merchandise. Steve Perry's novel was the main vehicle for the storyline, allowing everything else to hang off it. 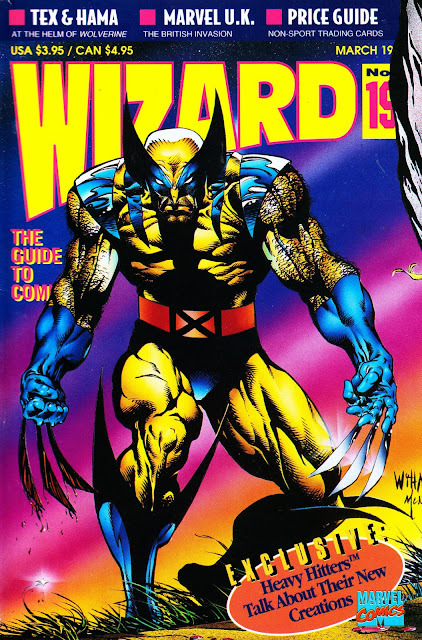 The comic book wasn't a direct adaptation of the book but did co-ordinate to ensure consistency across the two interrelated storylines. They even released a soundtrack album, by Joel McNeely for the film that never was. 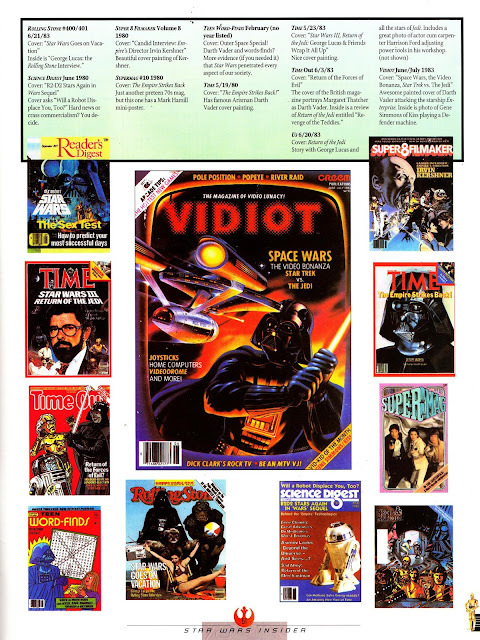 The various officially licensed STAR WARS mags all loyally devoted their efforts to plugging the event. Lucasfilm did produce a trailer to hawk the multi-media extravaganza but had to pull it when folks began to think that it was teasing an upcoming movie. Sometimes you can be too smart. 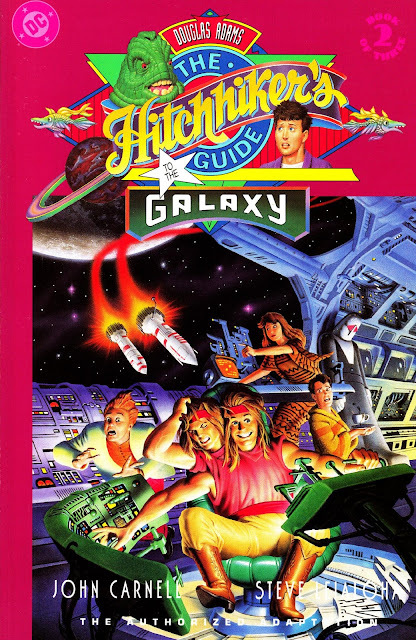 West End, once again, produced this sourcebook which doubles as a supplement to the Role Playing Game as well as a handy reference work in its own right. 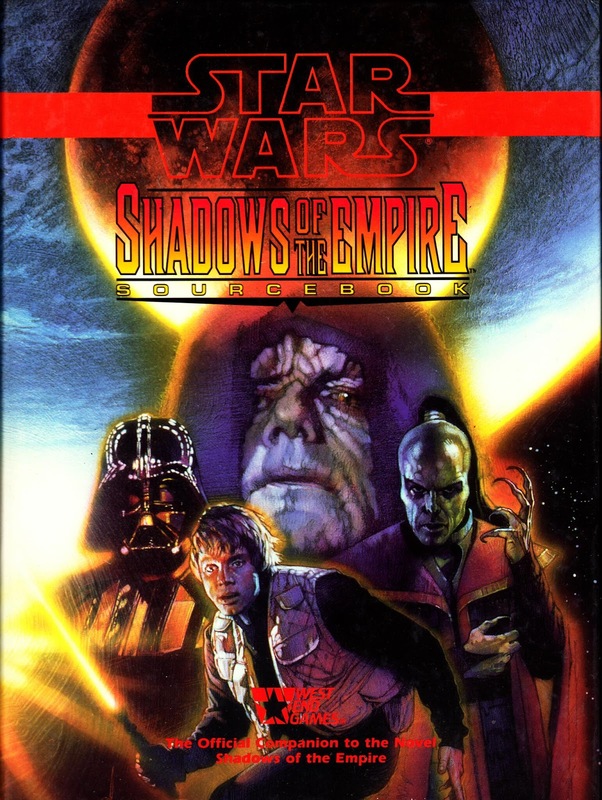 The cover, the key art that adornedtheme novel and played a key part in the marketing, was by movie poster extraordinaire Drew Struzan. 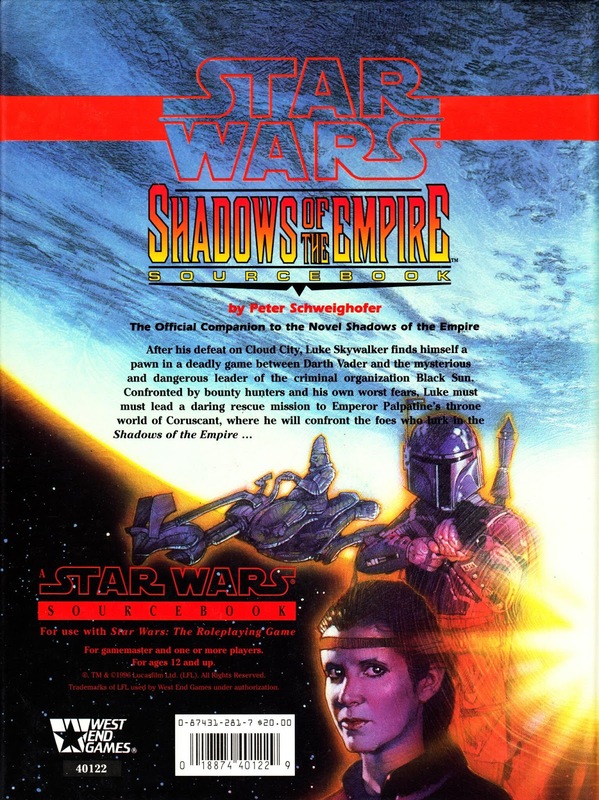 SHADOWS, long forgotten anyway, was consigned to being little more than a footnote when Disney deemed it irrelevant (like most of the Expanded Universe) when the franchise rebooted for its big screen return. From the Spring of 1983: another oft-overlooked fanzine of the period... the first issue of COMICS COLLECTOR. This was a semi-professional mag with glossy colour covers and presentable interiors. They wisely decided to celebrate SUPERMAN's 45th anniversary because (maybe) they knew they wouldn't be around five years later for the big one. 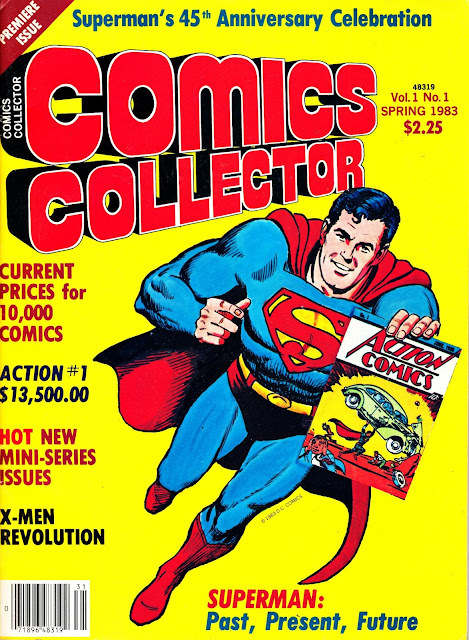 CC was one of several comics based magazines conceived in the early Eighties to take advantage of the growing Direct Sales market. Not only did it make targeted niche distribution easier byt the new comic book stores also concentrated readers in the same place for the first time. This one is undated (any ideas? ): the first UK edition of the MAD-alike CRACKED MAGAZINE from sometime in the 1970s. Not only is there no date inside but there is very little other information either. So I don't know if this is a compilation of numerous different US editions or just one (the current?) issue redressed as the UK launch issue. It seemed like every publisher, including both ends of the Marvel Empire, were chasing a slice of the Mad action with a succession of blatant wannabes. The same thing happened again in the Nineties when everyone decided they could come up with a VIZ knock off. 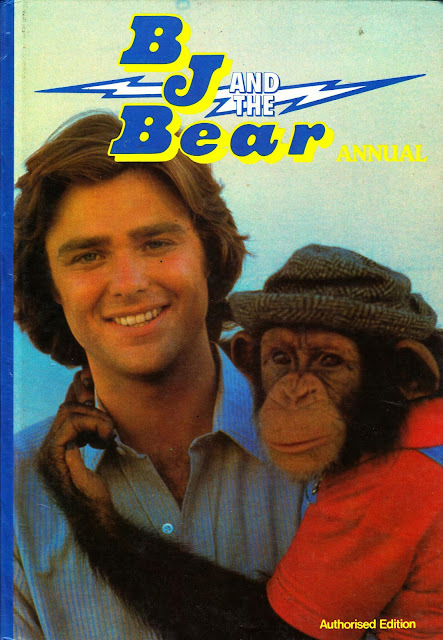 From 1980: the amusingly titled BJ & THE BEAR ANNUAL. How did Larson, Universal and the network ever get away with this 1979-81 show? Not the title but the blatant swipe (switch a big screen sized orangatan for a telly proportioned chimp) of the Clint Eastwood movie EVERY WHICH WAY BUT LOOSE, released in late 1978. In Larson's defence, he would have had to have piloted, shot, sold and started work on the first season before Eastwood's film had opened for business. So maybe it was just an example of producers having the same idea... or maybe Larson's nose for a hit was finely attuned enough to predict the Eastwood project was going to be worth knocking off. The series, the latest in a long (and only occasionally distinguished) line of Larson novelty shows had Greg (My Two Dads) Evigan trucking around the States (read: California and the Universal back lot) getting into all sorts of kid-pleasing scrapes. It must have been a tough gig knowing you were the star of the show but the audience were just waiting to see the truck and the primate. The show spanned a not-to-be-sniffed-at 48 episodes over three seasons and improbably spin-off another, less well remembered, comedy drama show THE MISADVENTURES OF SHERIFF LOBO (37 episodes across two seasons from 79-81). It's worth noting that the Glen A. Larson telly machine was also deep in the midst of producing BATTLESTAR, BUCK ROGERS (although Larson had little hands-on involvement past the pilot) AND THE HARDY BOYS AND NANCY DREW MYSTERIES as well as, no doubt, others on the go when BJ hit the air. Kudos to Larson for making BJ (Billie Joe) McKay a Vietnam vet before the war became all pervasive in American pop culture during the next decade... even if the show seldom mined that particular piece of backstory further. One episode, about the Hollywood stunt industry (cue lots of back lot shots) may have been a proof of concept for THE FALL GUY, a considerable hit for Larson under his new deal with 20th Century Fox. Like BJ, Larson even roped in his star (Lee Majors) to croon the premise-explaining theme song. I loved this show at the time (I was very young... and it had a monkey) but it never resurfaced during the now past boom years for the Hollywood studios to release their back catalogues of action shows on disc. I managed to get a low-fi bootleg set (and Lobo too which, as far as I know, never crossed the Atlantic) which is certainly suitable for an understanding 50 minutes of entertainment. 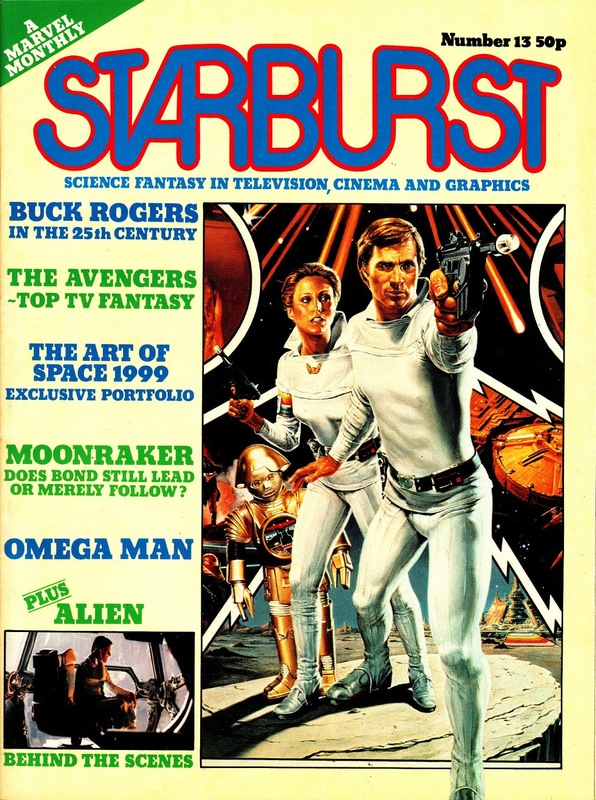 From September 1979: the key art from BUCK ROGERS IN THE 25th CENTURY graces the cover of the 13th issue of MARVEL UK's STARBURST MAGAZINE. This issue, as the cover testifies, has a good line-up of Star Age greats including SPACE: 1999, Bond's MOONRAKER and ALIEN. And, although TV's AVENGERS falls outside the Star Age, Steel and Mrs Peel would be inducted a few years later when episodes appeared as part of the early Channel Four schedules (my first exposure to the show... although I didn't become fully immersed until the first Lumiere VHS releases in the early 1990s... then I was hooked). The cover is, I'm pretty sure, whiter than my scan suggests. I think the predominance of green text has prompted my scanner to give it something of a sickly green tinge. 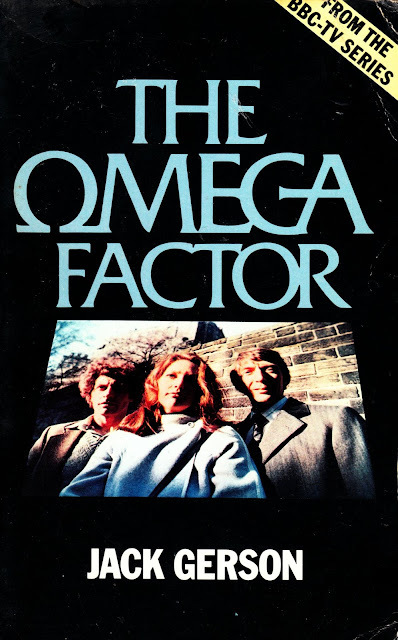 From 1979: the paperback buy-in to the BBC's proto-X-Files THE OMEGA FACTOR. I've not read this (which I found in a secondhand book shop) but I have seen a few episodes of the TV show itself (thanks to the DVD box set release) and, although I liked the show and the cast, I found the episodesthemselves hard going and somewhat impenetrable. It did remind me, a little, of the much more recent SEA OF SOULS but I don't think that's an entirely fair comparison. 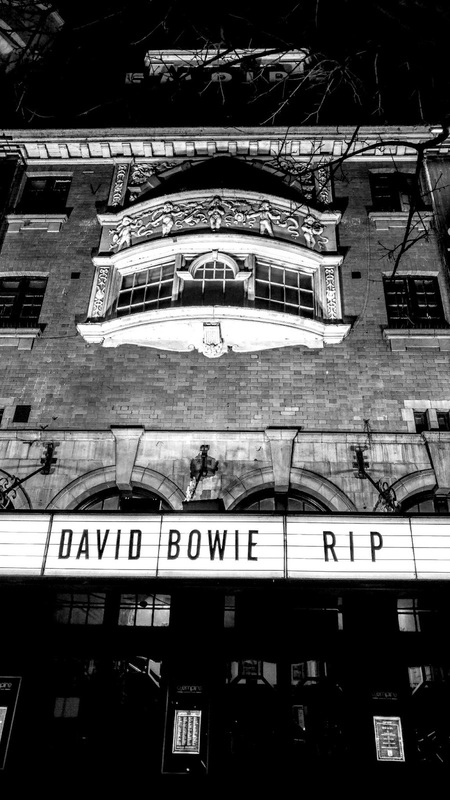 From 12 January 2016: The Shepherd's Bush Empire (formally the BBC Television Theatre) on Shepherd's Bush Green, West London. 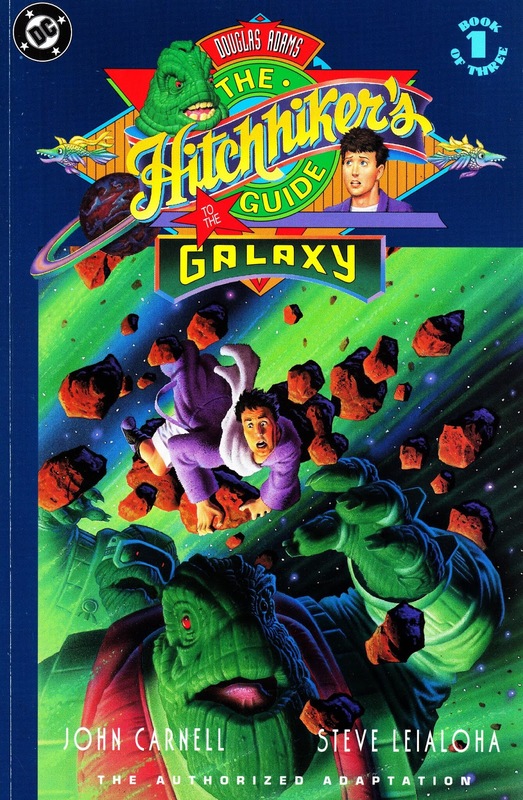 From 1993: the three-issue DC Comics adaptation of Douglas Adams' THE HITCHHIKER'S GUIDE TO THE GALAXY. One trend I'm seeing more and more in the comics trade is dealers putting back issues together into sets. Taking something of the trawl out of finding back issues and, when sensibly done, encouraging impulse purchases of multiple issues when you might be more inclined to pass on a random solitary back issue. It's also good for STARLOGGED as it means I can, when I'm tempted by a bargain, present complete runs herein. This is true of this three issue run from DC. I stumbled across them in a dealer's back issue boxes and thought I would share them here. From 1976: the first issue of the British TV SCI-FI MONTHLY, published by Sportscene out of Goodge Street, London. I picked up a few copies of this title over the last few months. I'm not sure if I have a complete run, I'll need to check. Considering the age of this mag, and the fact that most publishers seemed to think that a few black & white photos poorly reproduced on newsprint was perfectly acceptable, I think this is an impressive package. The format looks to be your bog-standard A4 but it actually opens up to become a glossy tabloid with a good percentage of the pages printed in colour. Unfortunately the pages are too large for my scanner. The text fearures are perfectly adequate but the real strength is in the good use of photographs and (what appears to be) specially commissioned visuals and graphics. A quick Google suggests that copies were also shipped to the States (and I've seen adverts in US magazines) although I have no idea how good distribution was on either side of the Atlantic. 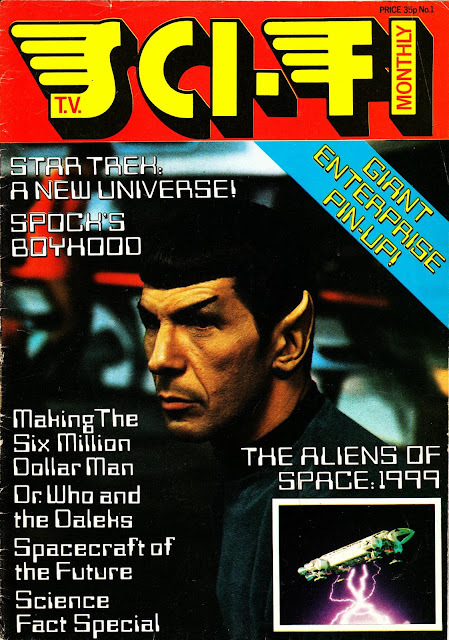 It looks like at least eight issues were published with a heavily emphasis on the big shows of the day (DOCTOR WHO, STAR TREK, SPACE: 1999 and the Bionics). It seems to have folded before it could capitalise on the post-STAR WARS small-screen explosion. 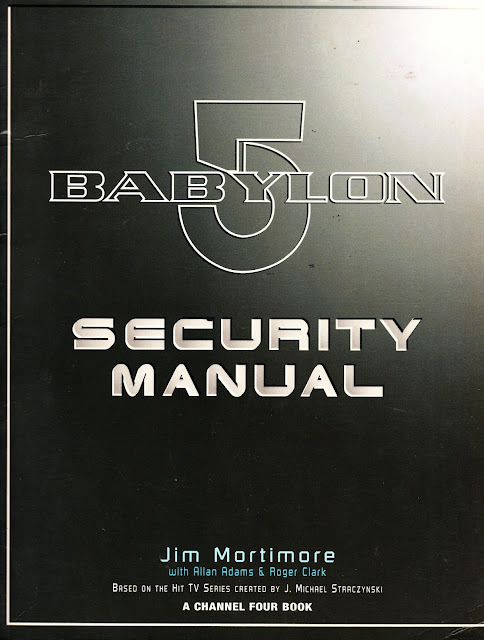 From 1997: the British edition of the BABYLON FIVE SECURITY MANUAL, published by Boxtree Books. 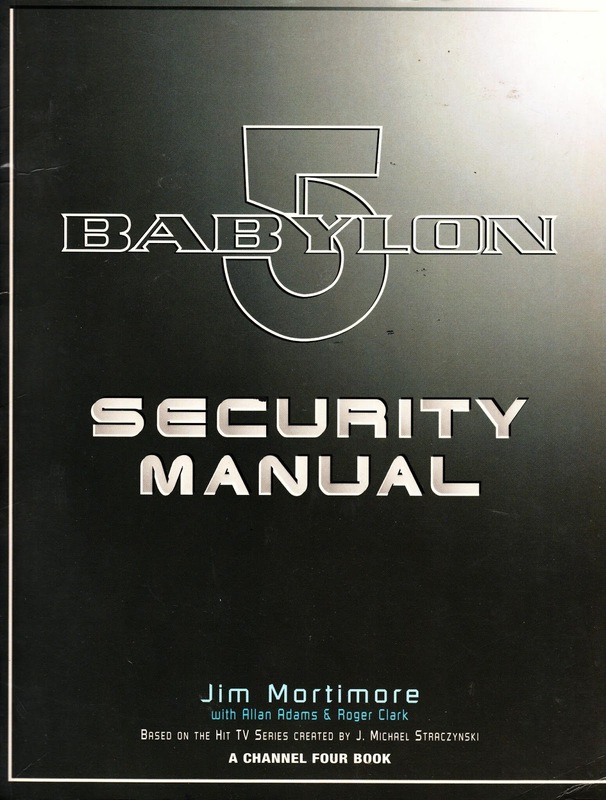 As the title and blurb suggests, this was an in-world guide to security on the eponymous and much troubled space station. As with all such books, the extent of the appeal depends entirely on your willingness to suspend disbelief and immerse yourself in the imaginary. For the most part, I'm much more interested in the behind-the-scenes factual stuff (B5 was, thankfully, blessed with a number of fine accounts of the making of the show) rather than this type of book. But, nevertheless, it's good fun and well illustrated. 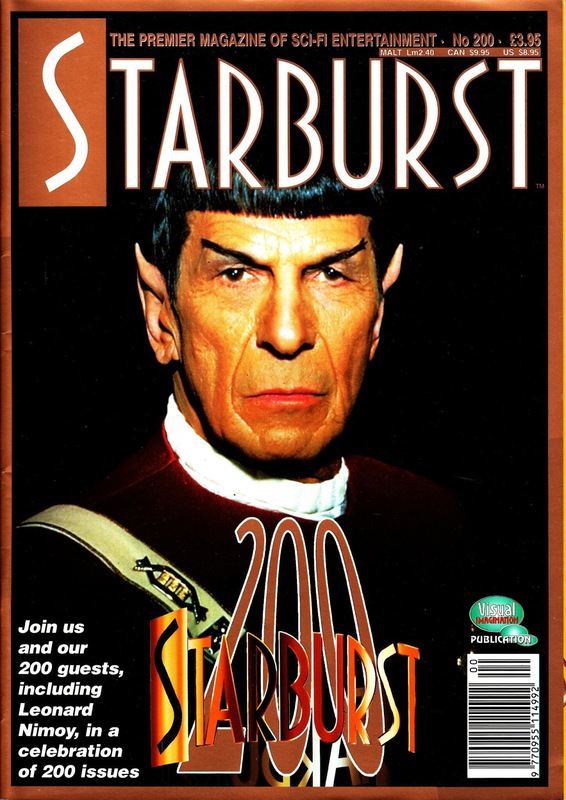 1996: STAR TREK FIRST CONTACT OFFICIAL MAGAZINE.